Nathan Skoufis, 24, lifetime resident of the area did not get to have a typical Holiday Season or a large festive dinner. He competed at the year-end 29th Annual National Black Belt League Super Grands World Championships in New York State held at the Adam’s Mark Hotel. The Super Grands is a historic week-long event, that began December 25th through January 1st. With competitors travelling from all over the globe to compete at the event. With martial arts practitioners of Karate, Tae Kwon Do, Boxing, Kickboxing, Mixed Martial Arts, Kung Fu and others. The NBL is the most prestigious sanctioning bodies for martial arts, ranking many of the top events throughout the globe. Competitors compete throughout the year in order to obtain a ranking for the year-end Super Grands tournament which is comparable to the Super Bowl of martial arts competitions. All Weight World Champions then fight each other until one is left to be crowned Overall World Grand Champion in the grand finale on the evening of December 31st, a highly sought-after title that is internationally recognized and accredited at the Grand Finale. Skoufis won against the other champions to qualify for the final match against the Super Heavyweight World Champion, outweighed by over 70 pounds. Skoufis won the Overall World Grand Champion, a historic accomplishment. Skoufis after this week’s tournament now secured his 16 x World Title. Skoufis was the lone Canadian Adult Male to claim a world fighting title at the event, this past week. 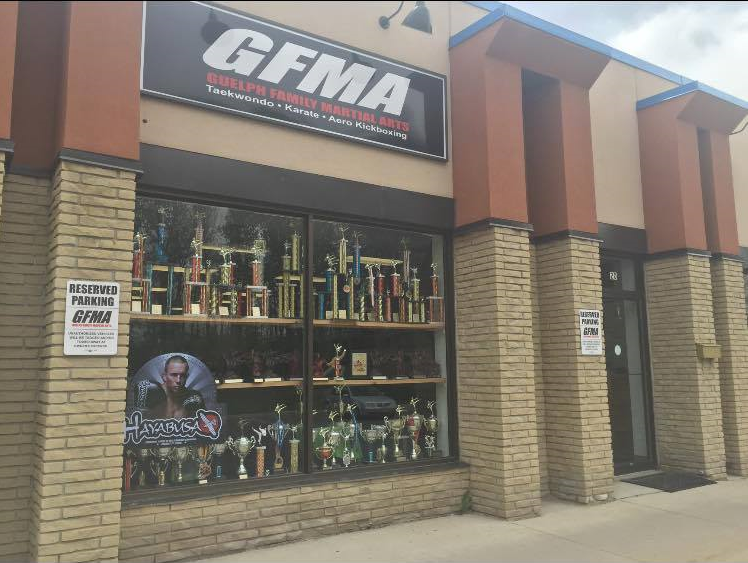 Skoufis began martial arts as a young boy in the spring of 2000, now fast forward nearly two decades in the sport, he has represented Team Canada and is a 5th degree black belt. The first Super Grands Skoufis attended was in 2008 in Sacramento, California. Skoufis won his first world title in 2007 in Atlantic City. 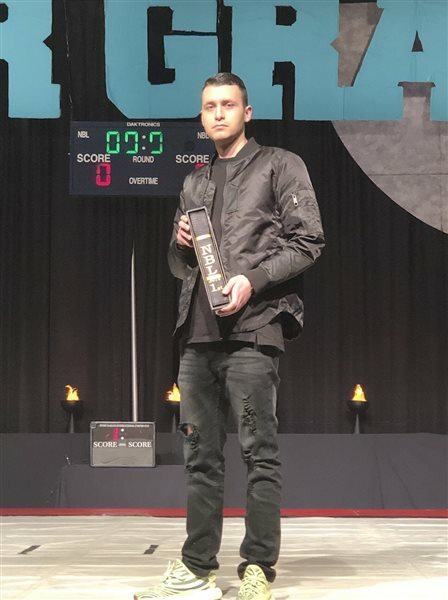 Skoufis says “I want to thank everyone who has supported me throughout my martial arts career, thank you to the entire community for your constant overwhelming support, I appreciate it so much. It is a surreal accomplishment, that has become a reality for me. A surreal accomplishment that is a dream come true. This title is one that I always wanted to win as a child. That if you have a goal for this upcoming year, pursue it because anything is possible with dedication and focus. That among the many life skills martial arts has taught me including focus, discipline, respect, self-control, stress-coping, modesty, the overwhelming skill I utilize today is perseverance. That when something gets difficult or an obstacle is in your way, you cannot simply give up or give in. Keep going and overcome whatever it might be, as anything worthwhile will not be easy. This sport is not about punching or kicking but much more. It is a vehicle that transformed my life, an activity that instills mental and physical strength as well as compassion. The things that martial arts has done for me is the reason I teach it to children and adults throughout the area. It was truly life changing and I have no idea what life would be like if I never got involved in martial arts and frankly I would not want a life without martial arts. I played many sports as a child but martial arts were the only one that really facilitated my personal growth, martial arts were the only one that connected aspects outside of simply physical realms. I believe that martial arts are routinely thought of simply combat focused and emphasize violence which could not be further from the truth. I hope this award shows that regardless of the city that you live in, regardless of the population, any goal is achievable. May 2019 bring you all health and happiness, thank you again and all the best. Nothing makes me prouder than to represent this amazing community on the international stage”.